RoofPro Inc. is a sales and marketing agency focused on promoting the speciﬁcation and sale of high performance materials and systems designed to protect, waterproof and enhance overall building envelope performance, especially in the area of energy conservation and long term sustainability while understanding the balance between delivering optimal solutions for the building owner and providing the most efﬁcient and practical rooﬁng system to the contractor. Our extensive experience in consultative and technical sales give us a unique ability to effectively market speciﬁcation-driven, high-value building envelope products and services. While our strong relationships and in-depth market knowledge allow us to effectively drive sales of commodity products as well. 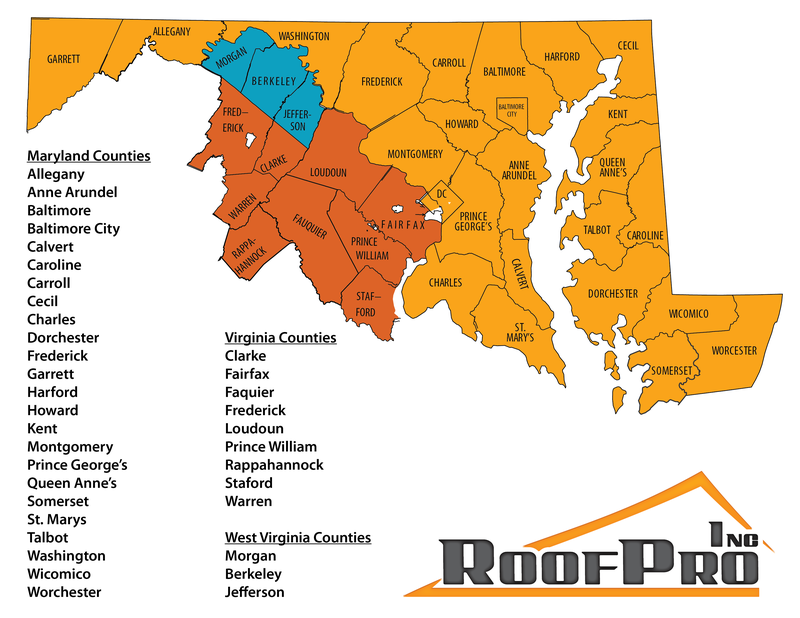 We build and maintain strong relationships with rooﬁng contractors, wholesale rooﬁng distributors, roof consultants, architectural and engineering ﬁrms as well as property management ﬁrms and building owners in both the private and public market sectors across the Mid Atlantic Region.